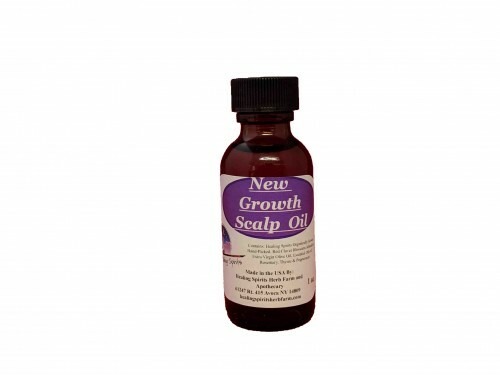 Massage into your hair to help facilitate new hair growth. For men and women. I first made this years ago when I found myself having hair loss due to stress. I was very happy to get my hair back! Contains: Healing Spirits Organically Grown, Hand Picked: Red Clover Blossoms infused in Jojoba Oil, Essential Oils of Rosemary, Thyme and Peppermint.